Marvel Avengers Rumors: Captain Marvel vs. Ultron? *Warning: will talk about new Marvel characters and their potential role in the MCU. All of you spoiler purists have been warned! There are some interesting rumors floating around that Captain Marvel may be getting a guest appearance in the upcoming film Marvel’s Avengers: Age of Ultron. These are intriguing rumors because Captain Marvel, aka Ms. Marvel otherwise known as Carol Danvers will be starring in her own Marvel film in 2018. Now there haven’t been any announcements about casting, screenwriter, or confirmed director. There was one rumor that Angelina Jolie may direct but I find that very unlikely. 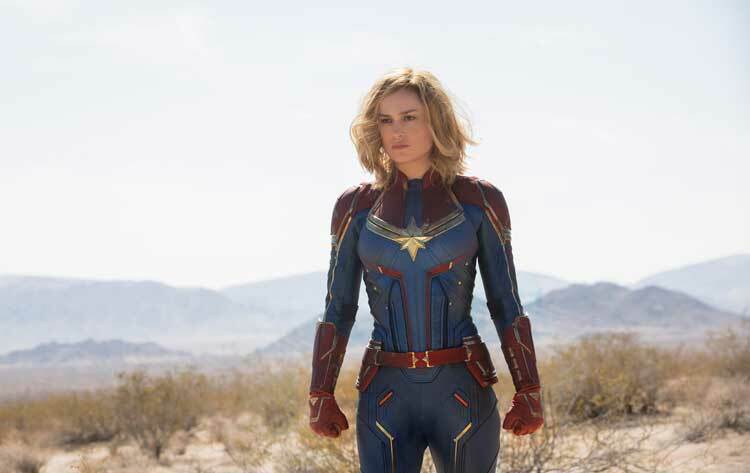 Now it would seem a pipe-dream that Marvel fans would get to see Captain Marvel this early in the MCU game, but there is an intriguing piece of evidence that has a Marvel fan like myself reeling. If you were to walk into a Disney Store or head to DisneyStore.com then you would find this toy. Now let me explain what we you are seeing here. This is a Marvel Figurine pack with 6 figurines inside. Now we can see some familiar faces such as, Hulk, Captain America, and Iron Man. We can also see some new faces such as, Ultron, Vision, and finally Captain Marvel. Now I am sure you’re thinking “so what?”, but that’s where you are wrong. 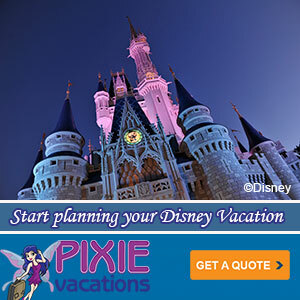 Disney is known for interconnectivity, especially with the Marvel franchise. Disney could have used any character as a toy, Quicksilver or Falcon. Let’s not forget Disney could have used a different female figure such as, Scarlet Witch or Black Widow, who by the way is now appearing in her 4th Marvel film. Why wouldn’t a veteran in the Marvel game be chosen over a newbie who isn’t even in the posters or trailers? 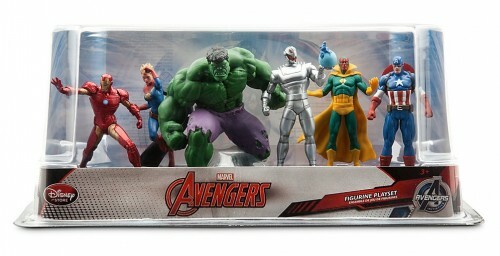 Seems awfully suspicious to have Captain Marvel in a toy set linked with the new movie Age of Ultron. 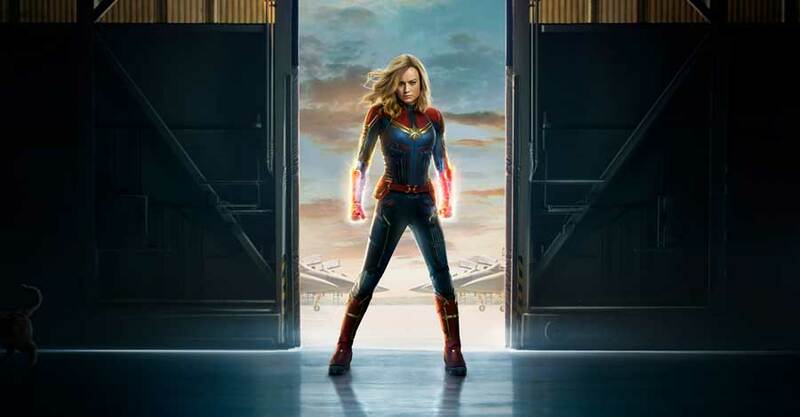 Now I hate to spin rumors, but it seems likely that we are going to get a little preview of Captain Marvel. Now where or how is still a mystery. Remember in Captain America: Winter Soldier we heard Doctor Strange’s name, Stephen Vincent Strange very, very briefly. But since there is already a toy I have assume we will get a visual glimpse. Also let us look at DisneyStore.com’s description of the toy; “Amp-up the playtime action with this set of six fully-sculpted figurines featuring a new assortment of Marvel Super Heroes teamed against Ultron under the the Avengers umbrella.” Wait, what?!?! It is looking pretty definite that Captain Marvel will be getting an appearance in Age of Ultron.